Install Ubuntu on Surface Pro 3? 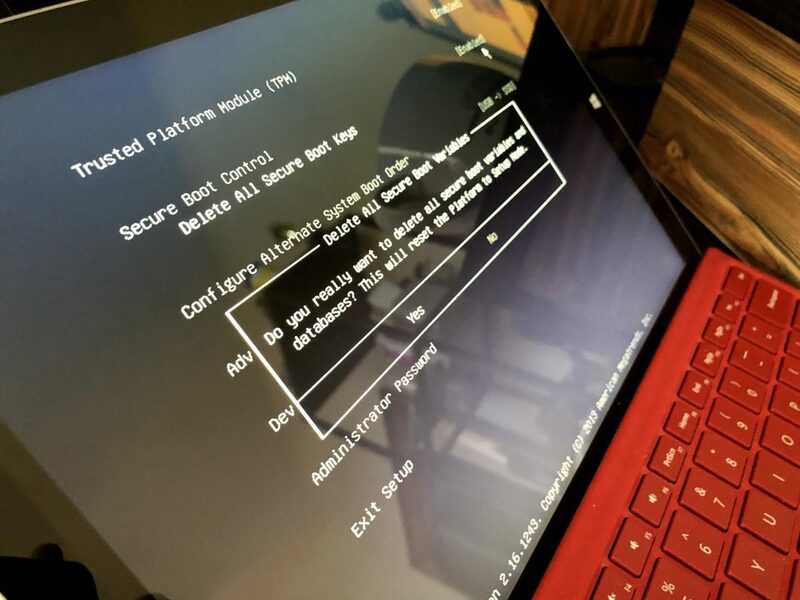 Prepare to spend hours and, if you get it done, you’ll end up with an unofficial kernel to get all of Surface Pro’s hardware working. The issue is the UEFI boot system. You’ll need to disable Secure Boot, install Ubuntu and then prepare to work on boot issues for a few hours. Install, reinstall, and, if you finally get it running, you’ll need a second system and a spare USB to install updates as Wifi, Bluetooth, Typecover, Camera and just about every bit of hardware that makes a Surface Pro 3 a Surface product will not be functioning. Unfortunately, it isn’t worth it. Save all the grief and install Fedora Workstation. You’ll still need to disable Secure Boot but, after that is out of the way, you’ll have zero issues and just about everything will work straight away. If you’re in the market for a Linux system and are eyeing the Surface line with the idea of swapping the OS, don’t do it. If it is a new Surface you’ll void your warranty by replacing the OS and mucking around with Secure Boot. You can find cheaper hardware that will run Linux without any issues elsewhere. If you want high end, head on over to Dell and checkout their desktops and laptops created specifically for developers. They’ll ship with Ubuntu. Posted on December 21, 2017 December 21, 2017 Categories Tools of the TradeTags fedora, install, kernel, linux, surface pro, ubuntu, uefiLeave a comment on Install Ubuntu on Surface Pro 3?